Hi y'all. I hope everyone is enjoying this glorious day! The little and I may take some time to enjoy the outdoors today. We both deserve it. My little has been working super hard this past week. 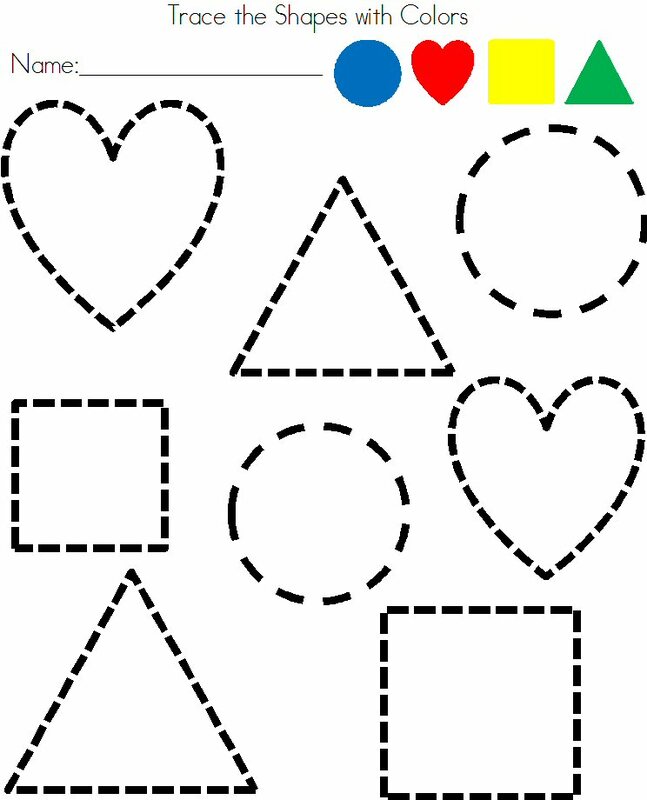 Letters, shapes, worksheets, chalkboard work, flash cards. We've been dabbling in a little of a lot! You know how it is, they have the attention span of hyena on his third Snickers bar! Well, my kid does anyway. I wanted to find something that I could use for a multitude of lessons! Or at least something that I felt gave her enough work to keep her doing more than five minutes of school time, and also actually engaged her enough that she was learning. I can't count how many worksheets we have done on the letter A. Say A. Trace letter A. Find all the As in the hidden puzzle. A flash cards. Write A on the chalkboard. Over and over... and you know what? She STILL cannot identify A by it self. UGGH! We She is struggling with this one! We'll get back to A next week! It is actually part of a shapes series, but I just wanted the one sheet. You can always look through and choose what you need. I knew I was going to use this worksheet several ways. 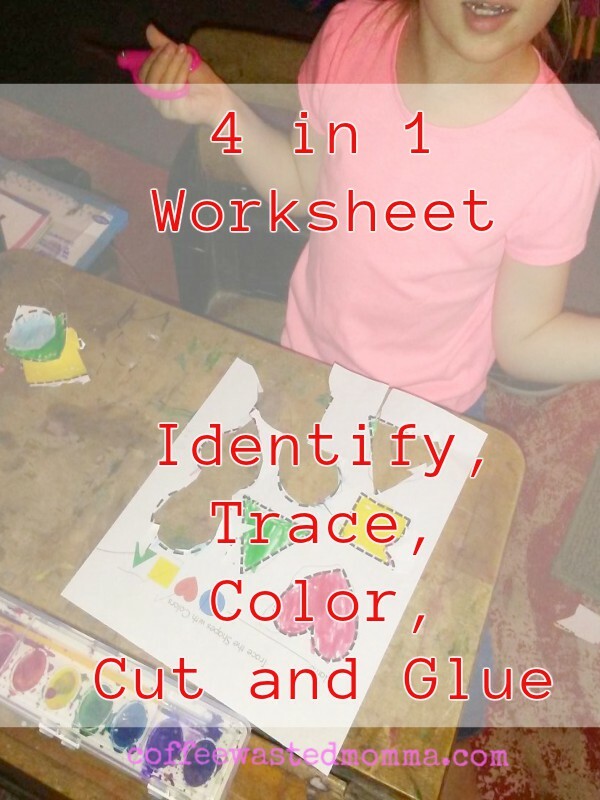 I wanted to create a lesson that gave her a few ways to learn from it. For us and most, that is the first thing they need to learn. 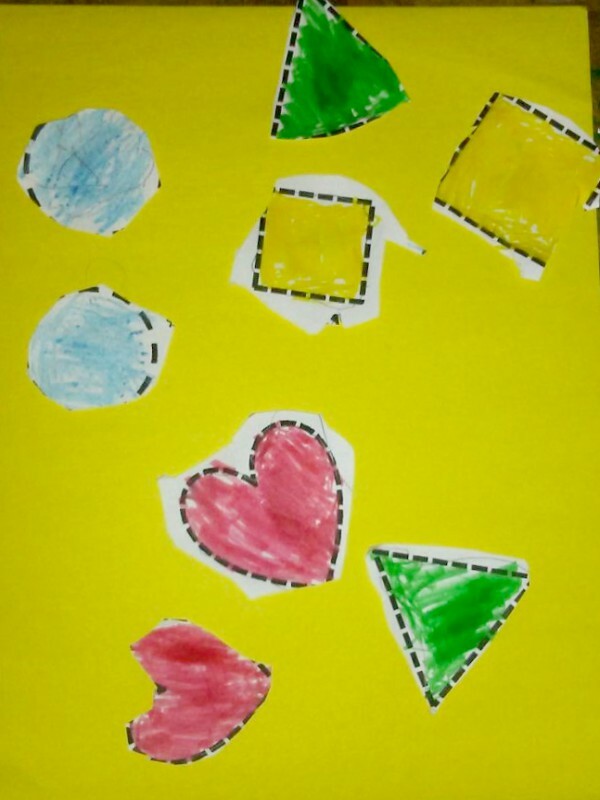 What is the name of each shape. 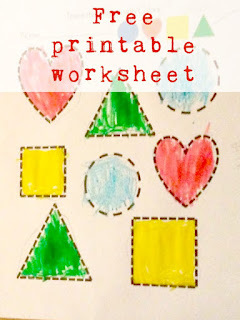 This worksheet is made so that the shapes are drawn with dotted lines perfect for tracing each shape! 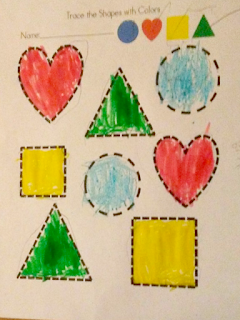 The color key at the top is great to teach them a pattern or to follow instructions. Only squares are yellow, etc. 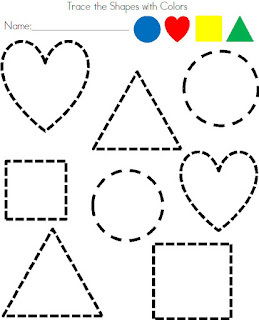 The dotted lines used for tracing also work great to encourage cutting along the line. This was wonderful practice for scissor control. We then glued all the shapes onto a piece of construction paper. Do it random or make a pattern! I am so happy with all she took away from this one worksheet! 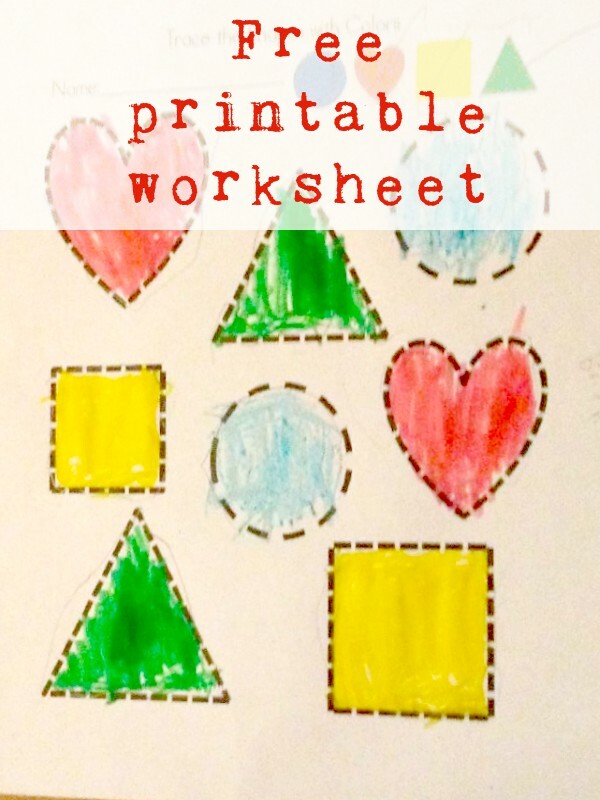 4 lessons, 1 sheet= happy momma!